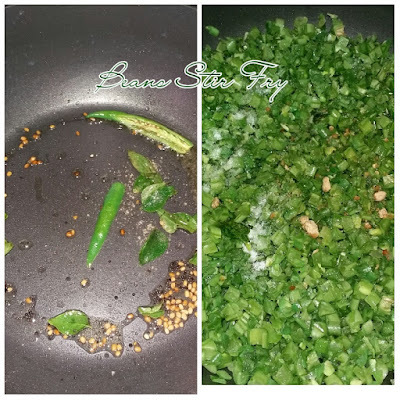 A simple but basic poriyal (stir fry) recipe that's healthy and tasty. This poriyal recipe can be adapted for beetroot, carrot and double beans (avarakkai). Heat oil a heavy bottom pan. Add mustard seeds, urad dal, curry leaves and asafoetida. When the mustard seeds start spluttering, add the green chillies, beans and ¼ cup of water. Cover with a lid. When the beans are partially cooked, add salt and jaggery. 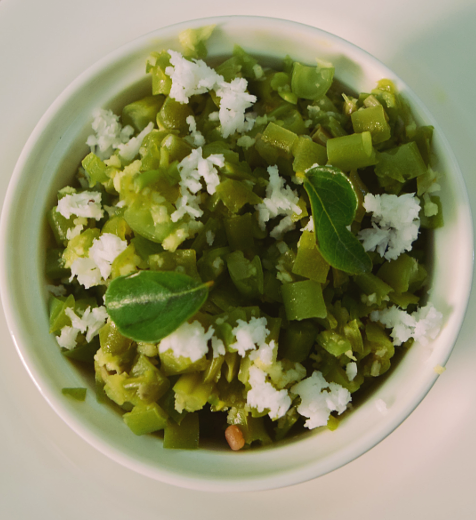 When all the water is absorbed and the beans is cooked, switch off the gas and garnish with grated coconut.